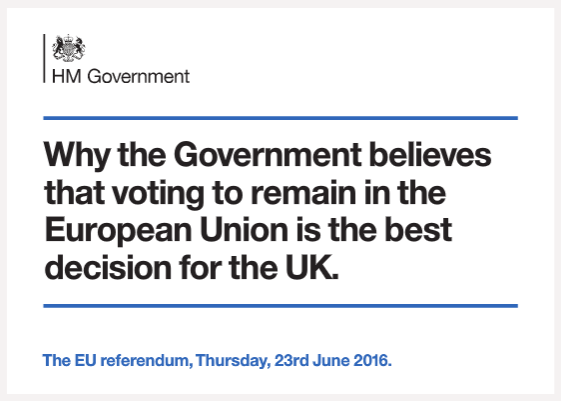 The Conservative Government believes that it is in the best interests of the UK to remain in the EU and have produced a leaflet that outlines their position. This will be delivered to all households in the UK starting with England from 11 to 13 April and in Scotland Wales and Northern Ireland commencing the 9th May. and the official Government line is to remain in the EU. Thus the information is presented to represent that opinion. 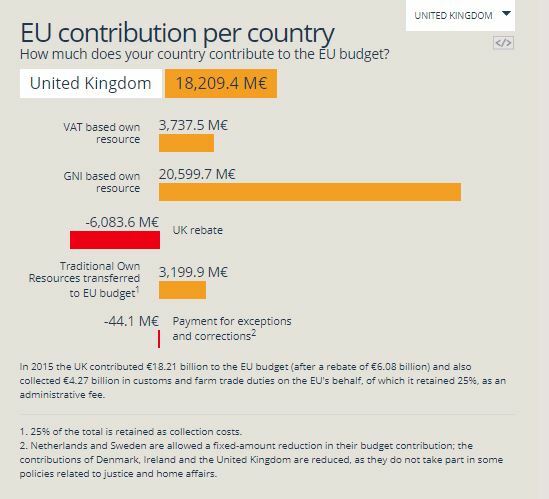 Being a member of the EU costs the UK money, by way of a membership fee, but (arguably) also creates jobs, trade and investment. There is no definitive study of the economic impact of the UK’s EU membership or the costs and benefits of withdrawal. Many of the costs and benefits are subjective or intangible and a host of assumptions must be made to reach an estimate. While the actual economic costs and benefits may be difficult to calculate at least we know what we actually pay for membership, or do we ? 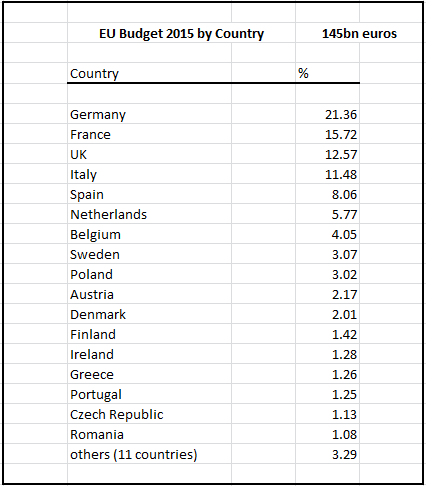 which attempts to make some sense from the different sources such as the Treasury, ONS and Europes own data from the European Commission (http://ec.europa.eu/budget/figures/2007-2013/index_en.cfm). so was the Leave Battlebus actually near the mark ? The role of the Court of Justice is to ensure that EU law is interpreted and applied in the same way in every EU country so that countries and EU institutions abide by EU law. It is used to settle legal disputes between national governments and EU institutions and can also be used by individuals, companies and organisations to take action against an EU institution if they feel it has infringed their rights. Court of Justice – deals with requests for preliminary rulings from national courts, certain actions for annulment and appeals. It consists of 1 judge from each EU country plus 11 Advocates General. General Court – rules on actions for annulment brought by individuals, companies and, in some cases, EU governments. In practice, this means that this court deals mainly with competition law, State aid, trade, agriculture, trade marks. It consists of 1 judge from each EU country. Civil Service Tribunal – rules on disputes between the EU and its staff. It consists of 7 judges. The European Commission is the EU’s executive body. It represents the interests of the European Union as a whole (not the interests of individual countries). The European Commission has its headquarters in Brussels, Belgium, and some services also in Luxembourg. The Commission has Representations in all EU Member States and 139 Delegations across the globe. A new team of 28 Commissioners (one from each EU Member State) is appointed every five years. The candidate for President of the Commission is proposed to the European Parliament by the European Council that decides by qualified majority and taking into account the elections to the European Parliament. The Commission President is then elected by the European Parliament by a majority of its component members (which corresponds to at least 376 out of 751 votes). Following this election, the President-elect selects the 27 other members of the Commission, on the basis of the suggestions made by Member States. The final list of Commissioners-designate has then to be agreed between the President-elect and the Council. The Commission as a whole needs the Parliament’s consent. Prior to this, Commissioners-designate are assessed by the European Parliament committees. The current Commission’s term of office runs until 31 October 2019 and the President is Jean-Claude Juncker.